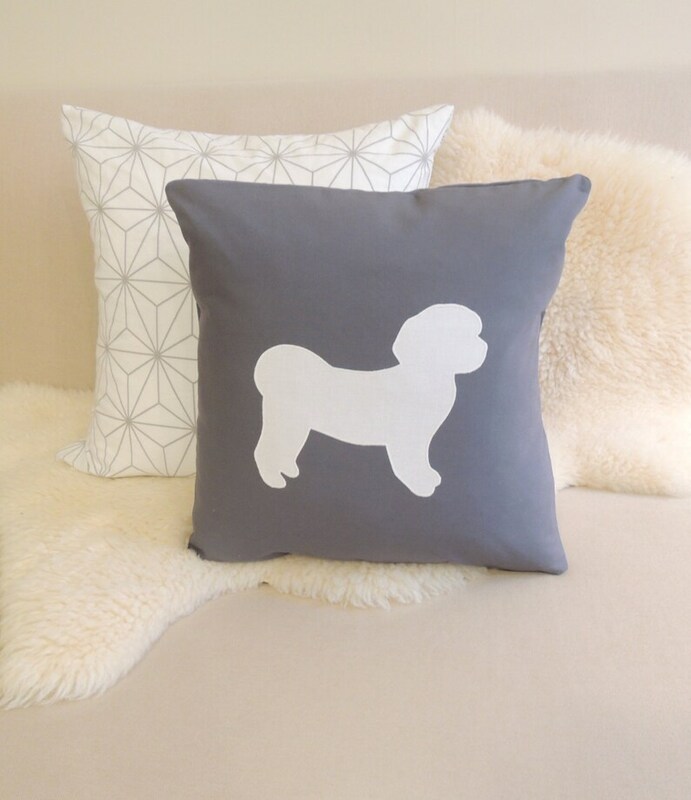 This Maltese appliqué pillow cover celebrates your spunky sidekick and adds a modern accent to your interior space in dark gray and white. Modern Chic.....This polished pup looks fabulous on a sofa, in a chair, propped on a bed, greeting guests on an entryway bench or anywhere else you can imagine. You can also choose the background color in white, mint green, navy blue or flax beige. Customize the Maltese in dark gray, navy blue, white or ivory. About the collection....A modern take on traditional appliqué, each pillow cover is an original design, hand-cut and sewn with meticulous attention to detail and quality; no paint, die cut machines or polyester screen prints manufactured by a third party here! Fabric: Soft premium broadcloth cotton for a modern look & feel. The flax beige is European linen with that fabulous rustic luxe texture. Each appliqué is machine finished with a coordinating zigzag stitch for a polished silhouette. Double-stitched seams are secured with a zigzag stitch for a durable, professional finish. Fully lined. French style envelope closure. 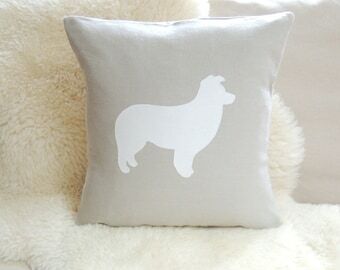 Maltese Silhouette Pillow Cover © Vixen Goods. All rights reserved.